 Located in the heart of Central California, Ripe to You® specializes in growing distinctive citrus with a commitment to sustainable farming practices. Our team harvests the fruit in small quantities, hand picking each variety at the peak of freshness. It takes a special team of people to deliver superior citrus. Our growers, harvest crews, production and office staffs all play critical roles in seeing our goals come to fruition. The challenge of matching varieties with the right soil and growing environment has been at the forefront of our developments. Our dedication to growing a satisfying piece of fruit continues to be passed on through this organization. These ideals will always be in place, and everyone here takes great pride in them. We think you’ll taste the difference. Looking for some new and unique citrus to add to your inventory? Ripe to You® offers almost 50 varieties from Buddha’s Hand Citrons to kumquats, mandarins and more! Contact us today. If you can’t find Ripe To You® citrus in your area, just print this form and bring it to your local specialty store. Give it to the produce buyer so that they can learn more about Ripe To You citrus. Follow us @ripetoyou to see the latest images and news! After a beautiful walk up at our Rocky Mountain Ranch yesterday afternoon we couldn't keep these pretty blooms all to ourselves! 🌸 It's so amazing to walk through all of the trees and see how although all the blossoms look so similar, they each turn into a piece of citrus so unique and different. Swipe to see all of the pretty blooms from mandarins, variegated Pink Lemons, Buddha's Hands and more! #ripetoyou #citrusblossoms • ⠀ •⠀ •⠀ •⠀ • #citrus #cagrown #citrusmatters #eatseasonal #knowyourfarmer #thankafarmer #agvocate #cabountiful #myjobdependsonag #farmtotable #foodisfuel #agriculture #aglife #westerngrowers #cultivateca #buyCA #inseasonnow #californiafarmsandranches?? ?